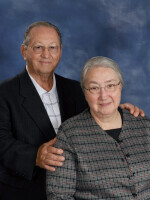 John and his wife Lydia have been married for 55 years and have 5 grown children and many grandchildren. We appreciate John's insight and seasoned perspective from many years of leadership. John has retired from a business career and enjoys fishing in his spare time. Robbie is a deacon at Townline. His caring heart and listening ear minister to others. 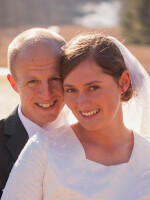 Robbie and his wife Naomi coordinate visitation and are involved in various teaching responsibilities. 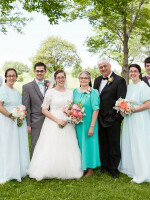 They have been married for over 30 years and have five grown children. Ryan has a passion for communicating truth. He also loves to see personal growth in individuals. 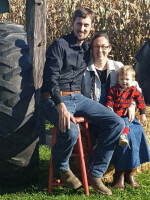 Ryan began preaching in 2011 and was licensed in 2014. He and his wife, Tabitha, are enjoying their son Chet and are looking forward to meeting a new little one soon. 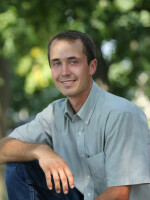 Ryan enjoys training horses, using them in speaking events, teaching valuable life principles. Andrew uses his teaching and administration giftings in several roles at Townline. He is currently serving as Townline's treasurer. 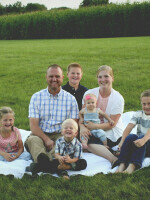 Andrew has a passion for church vision development, church finances, and leadership training. He fills his days as head of Country View Calves' shipping department. He enjoys taking care of his Angus herd, music, and photography in his spare time. Dean has a passion to preach the Word and loves to see people grow in their faith. In 2014 he married his sweetheart Abby, and they are expecting their second child. 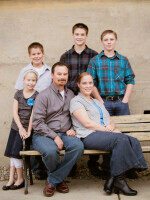 Dean trains horses in his spare time and is pursuing a degree through Indiana Wesleyan University. Garrett leads in a teaching role in the church and has a gift for visionary leadership. Garrett has a passion for one on one discipleship and mentoring. He and his wife Audrey have four children. Garrett installs drainage tile for a livelihood and enjoys church history in his spare time.